Prime Minister Alexis Tsipras underlined the strengthening of the Greek-Russian relations in the sectors of economy, trade and tourism in his meeting with Russian President Vladimir Putin on the sidelines of the Belt and Road forum that is taking place in Beijing. In the last years, said Tsipras, a significant increase in trade and in the number of tourists from Russia to Greece is recorded. Both governments are closely cooperating on the strengthening of the bilateral relations in all sectors. For this reason, Greece and Russia will prepare the new Joint Ministerial Committee meeting. On his part, Putin thanked the Greek prime minister for his efforts to strengthen the relations between the two countries. He referred to the need to further deepen the bilateral relations. 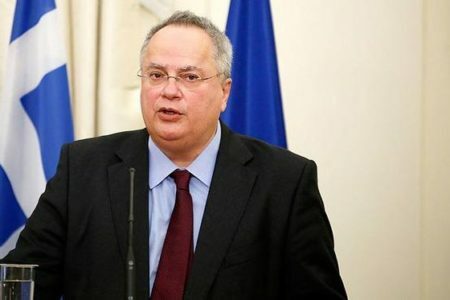 Greek Foreign Minister Nikos Kotzias, Russian Foreign Minister Sergey Lavrov and Digital Policy minister Nikos Pappas were present at the meeting. Tsipras posted on his twitter account: With President Putin we discussed on the strengthening of our bilateral relations and the developments in the region”.